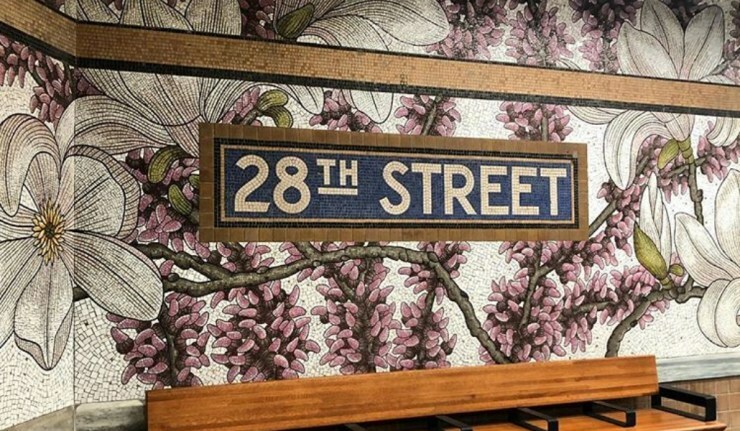 All to often we see horror stories in the media about the terrible state of the New York City subway system. As someone who has traveled the MTA all of my life, I have to admit that it can be crowded, dirty and frequently frustrating. 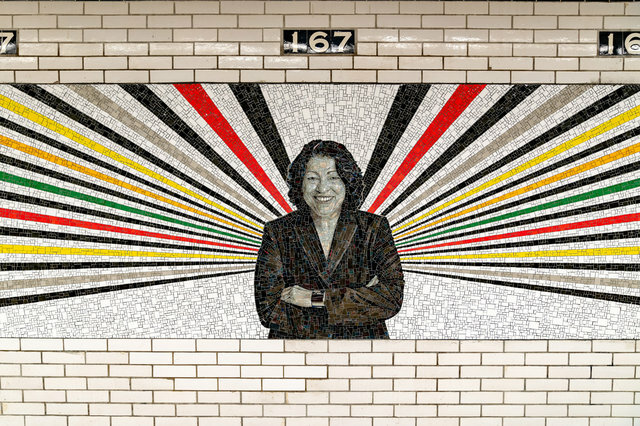 Still, there are some brighter notes to acknowledge, such as the MTA’s arts program. 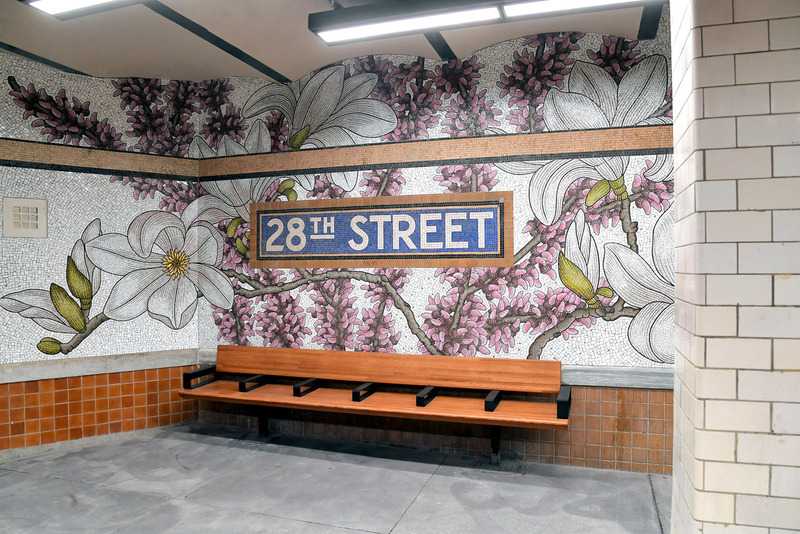 This week alone two newly renovated subway stations have dedicated beautiful new murals. 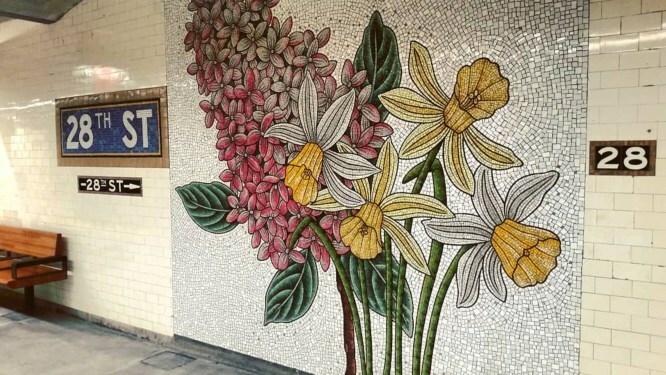 After a long renovation project, the 167th Street subway station in the Bronx has reopened with much needed modernization and new artwork. 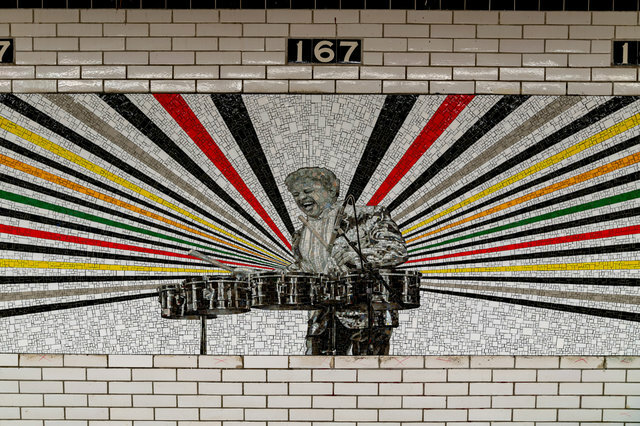 The station now features a series of glass mosaic murals celebrating historical figures who have been influential in the Bronx community. 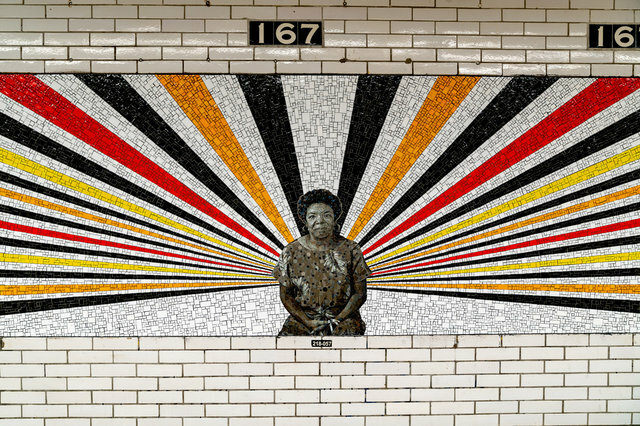 The murals by Brooklyn-based artist Rico Gatsun are collectively titled “Beacons” and they include portraits of James Baldwin, Celia Cruz, Sonia Sotomayor, Tito Puente, and the late great Gil Scott-Heron. 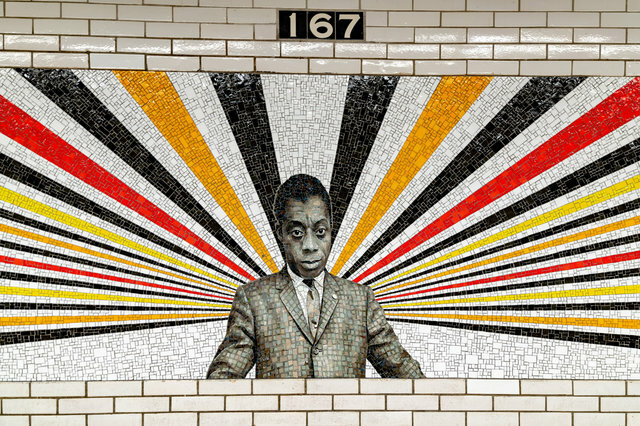 Definitely worth a ride on the B train to see. 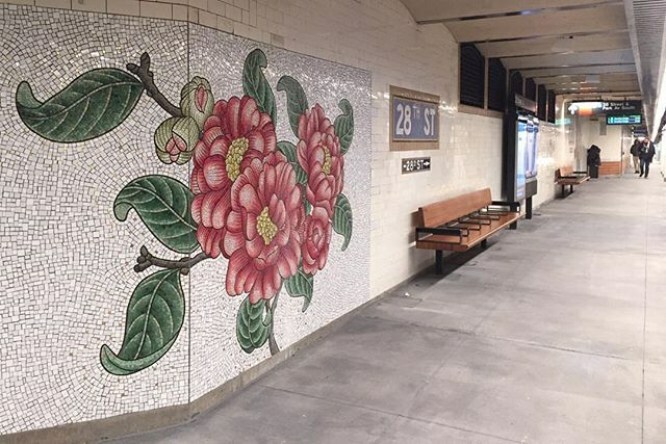 In Manhattan, a six month renovation project at the 28th Street subway station on the Lexington Line has also added stunning new artwork. 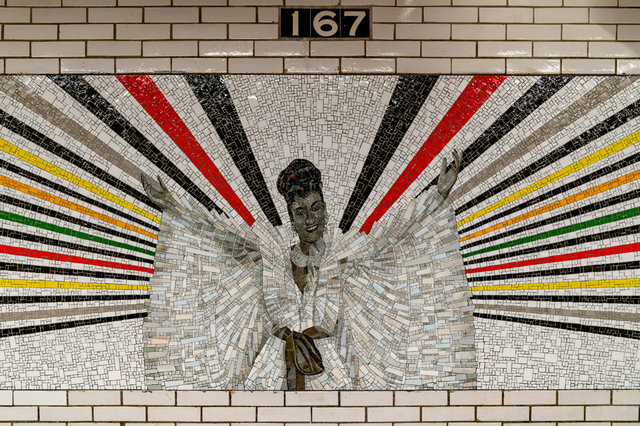 The platform walls are now adorned with gorgeous glass mosaic murals fabricated by the Miotto Mosaic Studio based on designs by artist Nancy Blum. 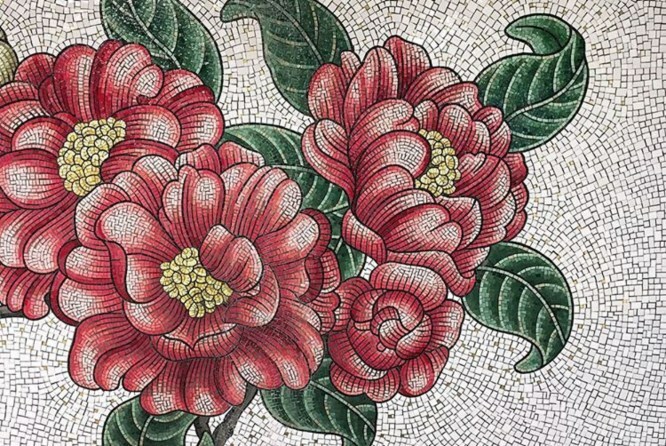 The colorful murals , titled ” Roaming Underfoot”, feature reproductions of flowers and plants from the Madison Square Park Conservancy. 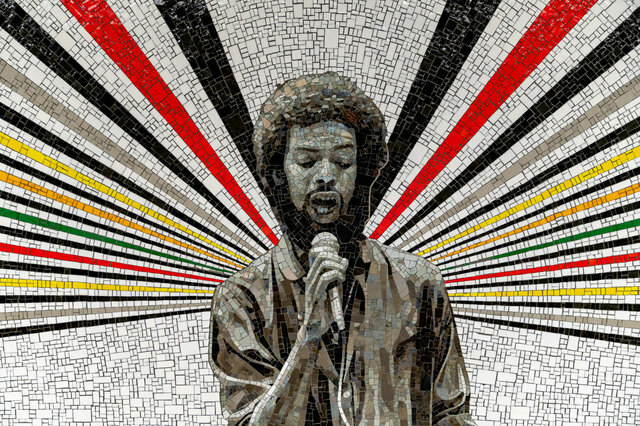 This entry was posted in Architecture, Art, Music, Public Transport, USA and tagged Bronx, Gil Scott-Heron, Manhattan, MTA, NYC. Bookmark the permalink.